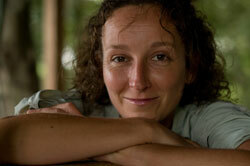 Dr Julie Anderson is a biological anthropologist and TV presenter. She is a leading primate conservationist and Director & Scientific Advisor of the Colobus Trust in Kenya. Julie presented the recent BBC TV series Living with Monkeys, about western lowland gorilla ecology and behaviour and red-capped mangabey. Her enthusiasm, breadth of knowledge, sense of adventure and warm personality make Julie a perfect host for a primate safari.